Please contact us with any questions- we will be delighted to assist you. We normally respond to email inquiries throughout the day, so we will get back to you shortly. 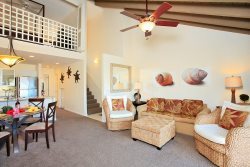 *Book your Maui accommodations safely and with confidence! We accept all major credit cards on our secure site (no risky wiring or money orders) and travelers can book our properties with confidence knowing that we are a Hawaii-licensed travel agency (Maui Gold Condos LLC TAR-6626)! For property management please contact our sister company, Hawaii Gold Properties RB-20208.